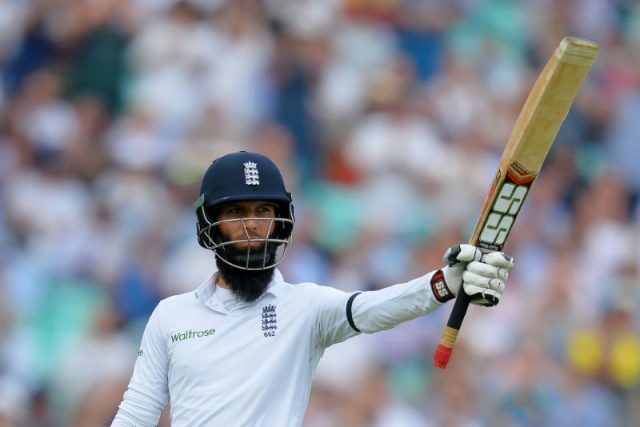 England all-rounder Moeen Ali has no sympathy for Australia’s banned cricketers and finds the whole team “rude”, British media reported. “Everyone you speak to … they are the only team I’ve played against my whole life that I’ve actually disliked,” Moeen told The Times newspaper. Moeen, who had a terrible 2017/18 Ashes in Australia but returned to form to help England beat India 4-1 in the recent test series, said he felt no sympathy for Smith, Warner and Bancroft. “I’m someone who generally feels sorry for people when things go wrong but its difficult to feel sorry for them,” he said. “The first game I ever played against them, in Sydney, just before the 2015 World Cup, they were not just going hard at you, they were almost abusing you. “That was the first time it hit me. I gave them the benefit of the doubt, but the more I played against them they were just as bad, the Ashes here (in 2015) they were worse, actually. Australia’s series against South Africa was also blighted with heated moments between the players, with one altercation between Warner and Proteas wicketkeeper Quinton de Kock spilling over off the field. The ball-tampering scandal was also seen as a watershed for the sport in Australia, however, with national governing body Cricket Australia announcing a root-and-branch review and ordering a charter governing player behaviour. Tim Paine, who replaced Smith as test captain, said the furore had been cathartic and would allow them to change their approach and team culture. Paine, however, added it would not diminish their desire to play the game hard. New coach Justin Langer, who leads the team on his first test tour later this month against Pakistan in the United Arab Emirates, also said he felt there was a place for for on-field banter, or sledging. “We’ve always played hard, some of the best banter is amongst each other to try to get the opposition thinking of other things,” he said in May.